TASHKENT -- Uzbekistan Friday (February 1) granted visa-free entry to citizens of 45 countries to boost tourism, which the government views as vital for economic growth. The countries benefiting from a 30-day visa waiver that went into force on Friday include the majority of European countries, as well as Great Britain, Australia, Canada, Argentina and Chile. Uzbekistan has made tourism a priority to reduce its dependence on commodity exports. France became the first European Union country to benefit from a 30-day visa waiver in 2018. Germany also began benefiting from the same measure earlier this year. Uzbekistan's tourism committee said last month that annual visitor numbers for 2018 were 5.3 million, double the figure for 2017. 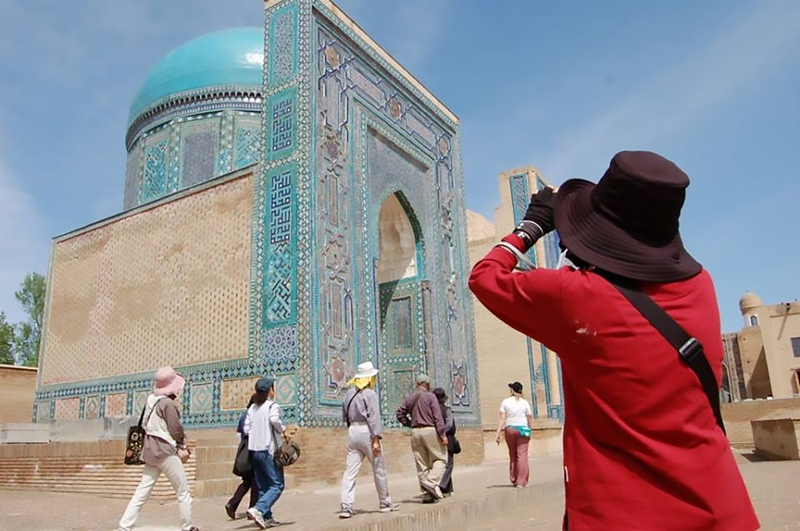 Foreign tourists now face less red tape when visiting Samarkand and other historic cities in Uzbekistan.